WASHINGTON — The National JACL issued the following statement on Thursday. The loss of life at a young age is unfathomably tragic. 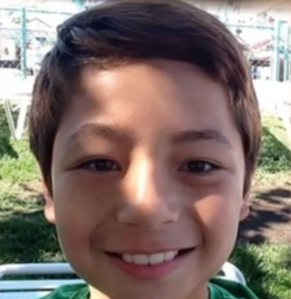 Ronin Shimizu, the 12-year-old son of Brandon and Danielle Shimizu, took his own life on Dec. 3, following years of being bullied at schools he attended in Folsom, Calif., located near Sacramento. Ronin’s passing occurred despite aggressive attempts by his parents to intercede with school administrators, moving Ronin to a different school, and finally resorting to home schooling. Ronin was a vibrant youngster who freely expressed his creative gift for art and fashion design. He enjoyed cheerleading as a member of the Vista Junior Eagles Cheer Squad, which, according to a family friend, he gave up due to constant harassment. The harassment directed at Ronin came in the form of slurs, name-calling, and even physical violence that began in elementary school and persisted through his middle-school years. The Japanese American Citizens League is deeply saddened by Ronin’s passing and we express our heartfelt condolences to Ronin’s parents, his family, and friends. JACL is mindful that the bullying suffered by Ronin is a severe problem within our schools. It’s a problem that can manifest itself in early childhood, and without intervention and prevention programs, it can persist. In “Hate Hurts: How Children Learn and Unlearn Prejudice,” the Anti-Defamation League writes that children between the ages of six to eight first begin to learn about differences and human diversity. It is also a period when many children report their first encounter with racism and other forms of prejudice. Despite increased awareness of bullying in schools, these types of incidents persist and in some cases increased levels are reported. In 2012, the Asian American Legal Defense and Education Fund (AALDEF) reported that 50% of Asian American students in New York City schools said they had been involved in a bullying incident. According to AALDEF, this is a 20% increase since 2009. A survey of more than 1,300 sixth-graders in California schools with predominantly Latino or Asian American students found that Asian Americans were the most frequently victimized ethnic group regardless of a school’s racial composition. In its 2013 National School Climate Survey, Gay, Lesbian & Straight Education Network (GLSEN) reported that schools nationwide are hostile environments for many LGBT students. Their survey, based on a sample of 7,898 students between the ages of 13 and 21 from all 50 states, found that 55.5% of LGBT students felt unsafe at school because of their sexual orientation; 49% experienced electronic harassment in the past year; 16.5% were physically assaulted; 61.6% of the students who did report an incident said that school staff did nothing in response. Ronin Shimizu’s brief life exhibited youthful joy and vibrant spirit. JACL hopes we have the wisdom to be uplifted by Ronin’s spirit and to be mindful there is also a lesson about accepting the differences inherent within each individual in allowing them to safely be who they are.